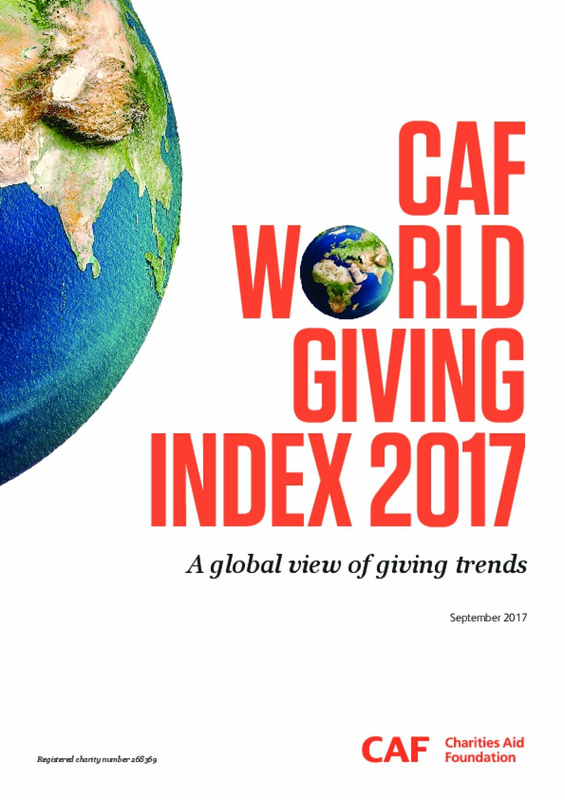 The CAF World Giving Index looks at how and why people around the world give to charity. In this eighth edition of the CAF World Giving Index, data have been collected in 139 countries, which represents 95% of the world's population. -Every Western country in the top 20 has a decreased score this year. -For the second year running, Africa sees an increase in all three giving behaviours, compared to its five year average.